Beautiful custom mountain home with gorgeous views! Offers lots of windows for a light & bright open floor plan! Cathedral ceilings in the great room (with French doors opening to a huge colorful deck) & master bedroom with its own private balcony! 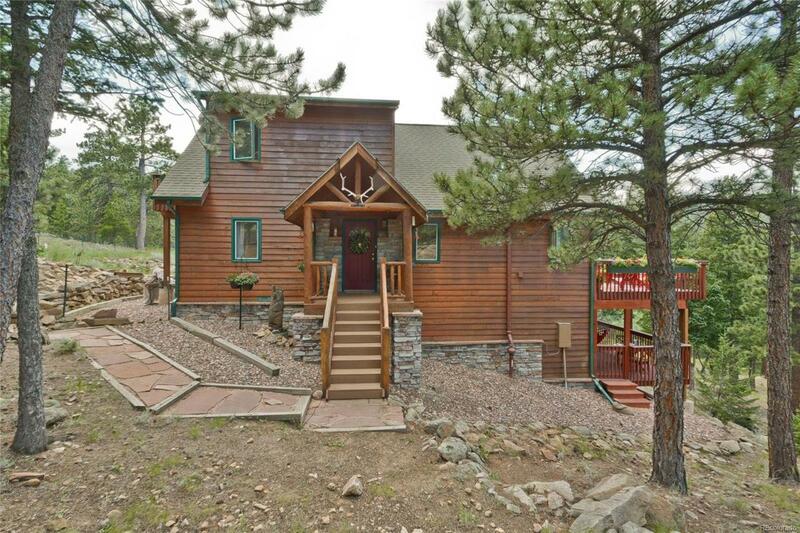 This contemporary mountain home boasts 5 decks for over 975 square feet of entertaining space and 360 degrees of views! Beautiful and colorful flowers reside within over 20 rail boxes! A small perennial garden beckons the butterflies & hummingbird feeders draws one of natures most magical birds to the property! Home updates include a new tank-less hot water heater, granite kitchen counters, new stainless-steel dishwasher, stainless steel convection oven and jen-air glass top range! The walkout basement features a fabulous dry below deck with string lighting for evening or daytime entertainment of family and friends The walkout basement also features a large family room & an area for an office and sleeping area - future 4th bedroom.